Lost in a dark wood like Dante, Nicholas Hagger tells the story of his search for meaning, purpose and truth that took him to Iraq and Japan, and encounters with Zen and China’s Cultural Revolution, which he was the first to discover. In Libya, then a Cold-War battleground, he began four years’ service and a double life as an undercover British intelligence agent (here revealed for the first time). He witnessed Gaddafi’s Egyptian/Soviet-backed coup, and its terrifying aftermath tore into his personal life, plunged him into a Dark Night of the Soul and faced him with execution. He went on to serve in London as Prime Minister Edward Heath’s “unofficial Ambassador” to the African liberation movements at the height of Soviet and Chinese expansion in Africa during the Cold War. Despite being routinely followed by surveillance squads he found Reality on a ‘Mystic Way’ of loss, purgation and illumination. He now perceived the universe as a unity, and had 16 experiences of the metaphysical Light. Vividly and movingly written, My Double Life presents a quest in two parts and in social and metaphysical tiers. 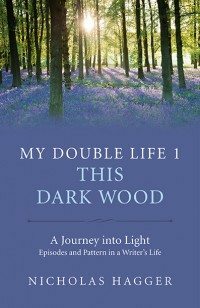 His story continues in My Double Life 2, which describes 77 further experiences of the Light. Behind this story of a writer’s journey – told in episodes whose conflicting events compound his double life and reveal a universal pattern – is his developing view that the universe is ordered by an invisible, infinite Reality. A review by Wendy Stokes is available on MBS Circle Network. Nicholas Hagger’s books reveal truths that have been hidden, and are rewarding. He is a literary author, man of letters, poet, philosopher and historian who presents a new approach to the episodes and pattern in his life that includes eyewitness history.